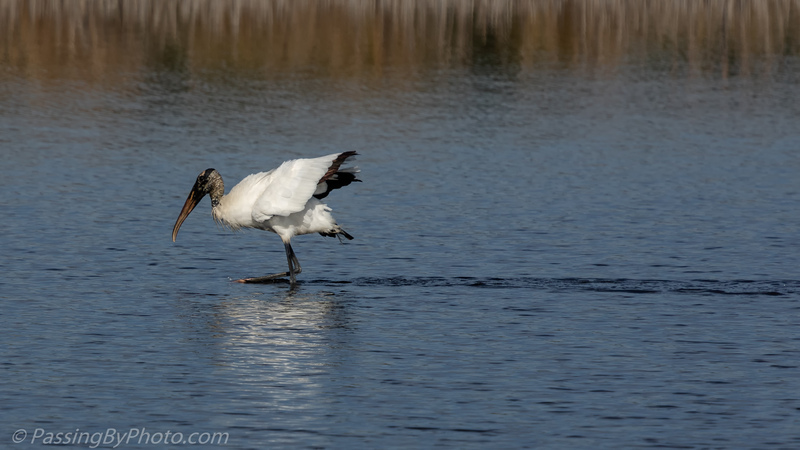 This Wood Stork showed off his snazzy green/black wing and tail tips as he lifted his wings to change the light and shadows in the water as he fed. He was moving forward fast enough to create a small wake. Clever guy, I would say, Ellen. Yes, and fun to watch, Greta!